Whilst walking the exhibits at SIGGRAPH 2014, I noticed how CGI could cut media pirate profits. With CGI Cultural Dubbing. SIGGRAPH 2014 is a five-day interdisciplinary computer generated imagery (CGI) research conference and trade fair showcasing the latest in digital art, technical collaboration, and emerging tech. This year, 175 companies from 18 countries; and 14,000 artists, software developers, research scientists, filmmakers, academics and students from 75 countries attended the fair. Right now, movie companies lose billions of dollars to international pre-release piracy. By one estimate, a 7% lower return on 70% of revenue. Could we advance the gift of the actor with CGI . . . dealing piracy a body-blow? Here’s the idea – modify facial features, speech, and cultural nuances for each target audience. If you live in Dhaka or Lagos or Caracas, would you pay for a poorly dubbed copy if you could get the original?
. . . or share a coffee with? I’m an (on leave) member of AB/BC Cave Rescue, and got this idea by combining what I saw at Maxon’s booth (Cinema 4D™ 3D rendering software and Robert Hranitzky‘s cool helicopter and lighthouse image which led me to think about rescue practice) with what I saw from Dynamixyz (their Performer™ facial capture and analysis software) and 3DMD (ImageFusion™ craniofacial virtual reality medtech modeling). I got to thinking Performer™ could be used for “mouth-shape mirroring” during speech therapy, and learned that it has been used this way: 1-4% of North Americans naturally stutter, and additional speech disabilities arise from the adult neurological effect of Parkinson’s disease, Stroke, etc. I could see speech therapy as a use case: someone looking at themselves stuttering, learning-by-seeing-how-to-change enunciation and mouth-shape to minimize the stuttering event, whilst working with the therapist to use the tool to practice voicing and mouth-shaping. 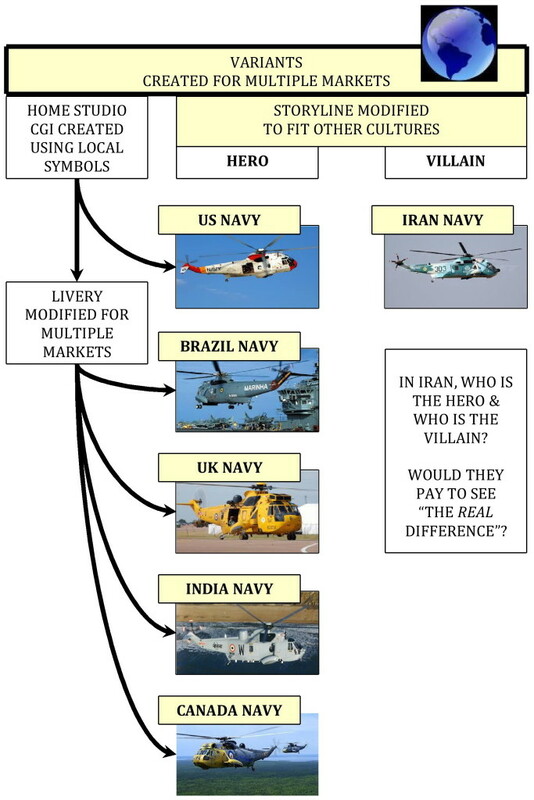 And then thought about the insignia emblazoned on Mr. Hranitzky’s Sea King helicopter image: imagining that image modified to display the insignia of each national market. 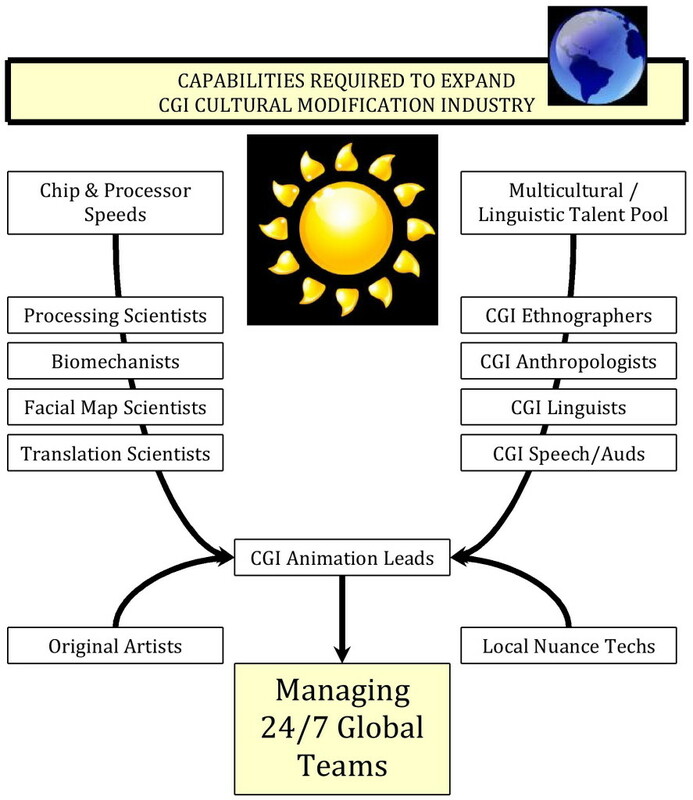 Could CGI grow the industry by changing the cost structure of pre-release piracy? – Using artistic wizardry to globally grow local markets, without changing the internal technical practices of the industry? 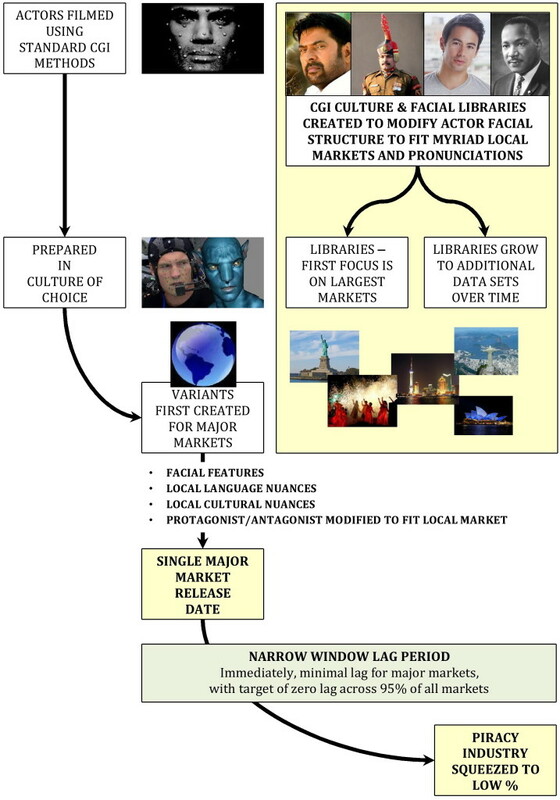 – Cutting into the margins of media pirates, using technical advances to modify legacy release date cycles? – Extending the professional ranks of colour and detail specialists by adding networks of specialized skills to build local markets? – Using demand, economies of scale, and a global network of specialty skills to make a big chunk of piracy unprofitable? If we could cut piracy losses to 1% or less, would there be sufficient net balance sheet, economic, trade, and stock price materiality ROI to justify the change? Helicopter & Lighthouse: © Copyright Maxon Computer, Artwork by Robert Hranitzky. Used with permission. Cropped for blog post. Original is here. 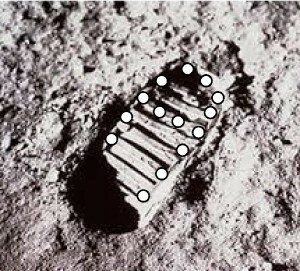 This entry was posted in Managing Risks, Market Disrupting Tactics, Resources for Entrepreneurs and tagged artists, CGI Anthropologist, CGI Ethnographer, CGI Linguist, CGI Speech Pathologist/Audiologist, CGI Translator, computer graphics research, cultural dubbing, digital art, dubbing, emerging tech, facial analysis, facial capture, facial modification, filmmakers, international premiere, lag, lag window, media piracy, Motion Picture Association of America, MPAA, Performer™, pre-release, research scientists, Robert Hranitzky, SIGGRAPH 2014, software developers, speech disabilty, stuttering, technical collaboration. Bookmark the permalink. ← Harvesting Invasive Species – a business growth opportunity?